I don't know about you, but I am hearing a lot about Squarespace these days, either at conferences or as a podcast sponsor, and I decided to evaluate v6 from an internationalisation angle. Squarespace shines as a CMS. Really. Its approach to designing layouts and organising pages is amazing. The templates you have to choose from are very well designed, and you can customise most of it from the client interface. I won't go into the details her, but you can find numerous reviews elsewhere. It felt as the perfect solution for those small budget websites projects. Build on an existing template with the client to meet their needs and expectations. Sounded great.. until you get to the localisation issues. 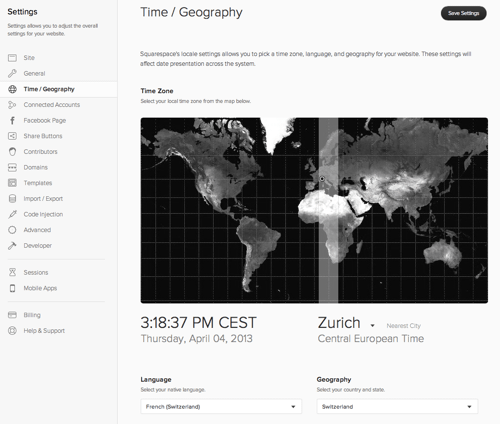 I didn't expect Squarespace to offer an localised version of their admin interface, but I did expect them to take into account the website's localisation settings set in «Time / Geographyí¢â‚¬Â. As from I can see, this is only used in the lang parameter of the html element. I would expect them to use it to format the blog's dates and times and to initialise the YUI 3 Library Y.config.lang variable. But sadly, no. + month[pdate.getMonth()] + " "
+ month[tdate.getMonth()] + " "
The CSS still needs to be tweaked, but we are getting closer to what I expected. Version 6 offers a Developer Platform which enables you to create your own Squarespace template from scratch. Morevoer, it is completely free until you are ready to publish so get started! Kudos for that. Unfortunately, you can't edit the template blocks (yet, says the documentation), so the same hacks apply. Keep in mind we are hacking your way to a solution, this code will have to be removed once Squarespace formats dates according to the user's settings. David, thanks very much for your helpful tip! I used your code to translate the date format in to finnish, and it worked perfectly. For some reason, though, I can't get the "substitute specific strings" part of your code to work. I'm trying to translate "Newer" and "Older" in the blog, but the default ones stay anyways. Do you have an idea, why it doesn't work? I used your example code from SQS Answers forum, and just replaced french words with finnish equivalents. I tried that, but unfortunately it didn't work..
David, thanks a lot for this excellent article. Everthing worked well for me expect setting the localisation to German. Unfortunately this did not change anything in the calendar widget. Months names are still displayed in English. The code doesn't work for me as of February 2014. The calendar is still in English and e.g. does not hide the days. // we now have "March 12"
// we now have "Saturday, March 1, 2014"
// we now have ", March 1"
I've tried this solution with mixed results. What I have on the index did not change (the calendar & two "sumaries" from blogs). 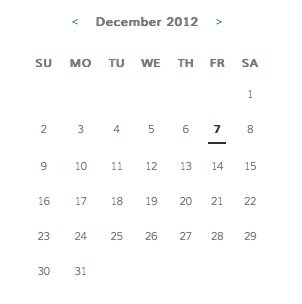 The dates on the blog listings did work. I'm using the Bedford template. Do you have any idea why and/or ideas as to how to work around these issues? I'm desperately trying to make this event calendar german. It's a bummer that Squarespace doesn't provide an easy way to customise these labels yetâ€¦ with all the sponsoring they are doing around the world, their product is still EN only. Moreover, these replacements are template dependant. You need to make an inventory of all the labels you need to translate, and then target a CSS class or ID for each of them before applying a similar approach to what is described above. You can manage a glossary of word and phrases to translate on their site via your account. Thanks for giving us a shoutout in your breakdown of Squarespace 6 and their localization. Sadly, this does not work for the Switch template. Please let me know if anybody finds a workaround! 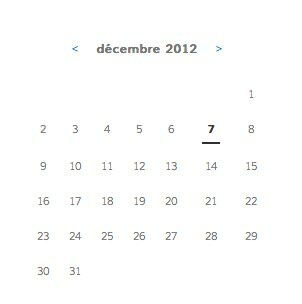 Please see below another way to localize dates (to French) for a summary calendar item. I inject this code in the local page injection section. Great post, but have you guys tried the easier way of localizing/translating Squarespace websites (including Squarespace 6 & Squarespace 7)? Try https://www.bablic.com, We're getting amazing feedback from Squarespace users who are absolutely loving it since it's such an easy and user-friendly way to translate Squarespace sites. Using Bablic.com you can choose any template you'd like, it works perfectly with all of them. Also lets you choose from machine translation or professional translation. It also lets you manually edit text, replace images and even edit css/style at the click of a button which makes sure your website keeps its look and feel in all of the languages you offer. 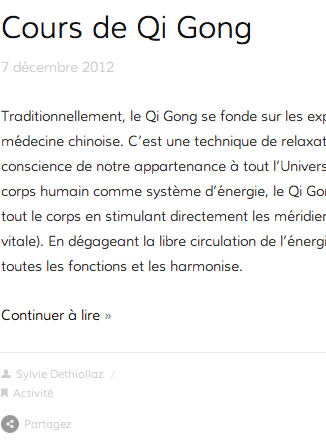 It also automatically ads a floating widget that lets you choose between your languages, for example French or English. You can also customize the widget if you'd like. Bablic also works on Mobile sites, I really recommend you give it a try. Give it a try but just entering your website on our homepage at Bablic.com. Hi David thank you so much for this excellent post! Any idea why this might be happening? It might be worth mentioning that it flashes correctly in english for a millisecond... Any advice for a fix? Hi! You can also try https://poeditor.com/ for translating strings which is an online localization tool designed to make the localization process easier for both project managers and translators. Localize is amazing I canâ€™t wait until they add date translations. Then Iâ€™d be set. I tried poeditor and felt a little lost. This stuff is a little over my head so just being able to slap some code into the injector and only having to make minor changes like translating words is about as advanced as I can get. this.setHTML(pdate.getDate () + " de "
should be like "zurÃ¼ck zu" und "letzte / nÃ¤chste"